Bill Journeay discovered the original 'Sandy's Gold' in an old farm field near New Ross, Lunenburg County, Nova Scotia ,Canada in 1999 and named it for his wife. 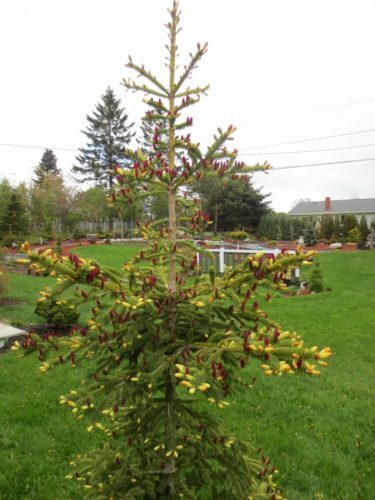 It has been successfully grafted and is well established at Kingsbrae Gardens in St Andrews NB and several private gardens in Nova Scotia and New Brunswick, Canada. (See Conifer Quarterly Vol. 26 No. 2, Spring 2009). Journeay registered this cultivar through the ACS Conifer Registration program in 2011 and it was accepted by the International Conifer Registry at the Royal Horticultural Society. 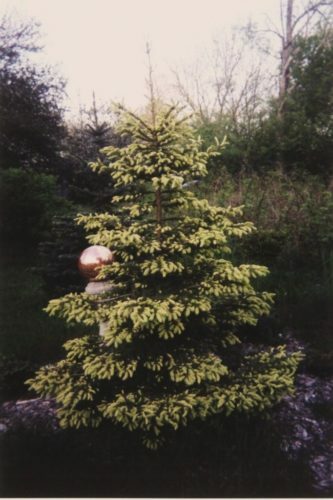 Picea glauca 'Sandy's Gold' -- a young specimen at Bill Journeay's private garden. 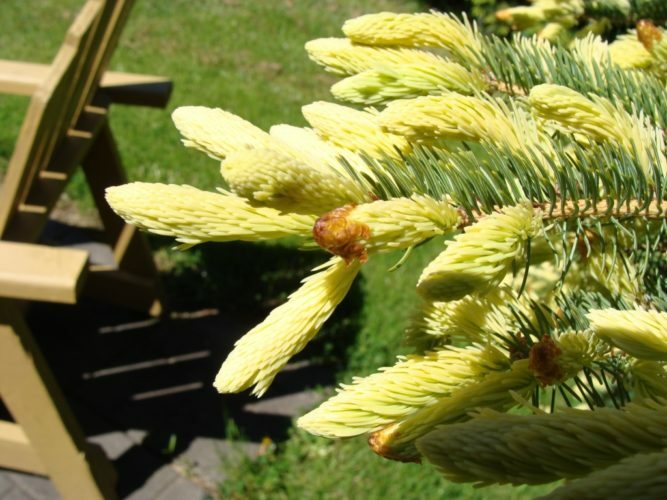 Picea Glauca 'Sandy's Gold' -- a closeup of the brilliant flush of spring growth. 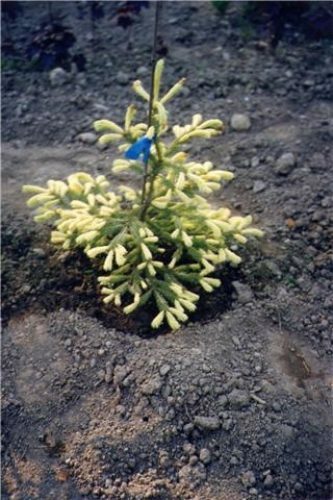 Picea glauca 'Sandy's Gold' -- one of the original grafts at Bill Journeay's private garden in Nova Scotia. 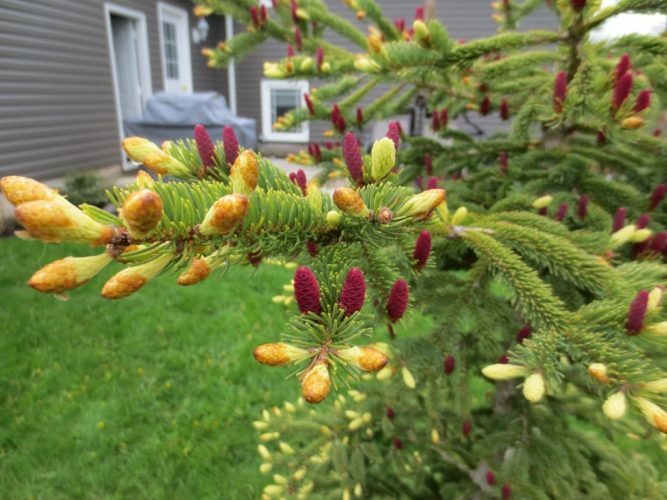 Picea glauca 'Sandy's Gold' — a nice closeup of the spring push of golden foliage and red seed cones. Picea glauca 'Sandy's Gold' in all its early spring splendor.